The beautiful thing about WPH is that you can drink at Swizzle and eat at Employees Only without ever leaving the hotel grounds. Now, thanks to EO you can dance, too.Employees Only has always known how to entertain, and now our neighbors at the Coral House are hosting weekly dance parties with DJ Repo, a local favorite. Get ready to dance all night, because EO never closes early. Midnight Spin happens every Thursday from 10 p.m. to 3 a.m. at Employees Only Miami. While most weeks DJ Repo is on the 1s & 2s, spinning hip hop favorites, the party will host guest DJs. Be on the lookout for other popular Miami DJs. Both DJ Retro Kid and DJ Vinni Soul were just here. With Midnight Spin happening every Thursday, it’s the perfect opportunity to make the rounds at WPH. Start with Swizzle in the WPH lobby, our Caribbean cocktail bar that features drinks created by master bartender Danilo “Dacha” Bozovic. Filled to the brim with crushed ice, rum, and tropical fruits, and swizzled with a swizzle stick, these drinks really are the perfect complement to a Miami night. While we almost always order the South Beach Swizzle, lately we’ve been feelin’ the Rhum Swizzle with this summer weather. Made with Rhum Clement, watermelon shrub, lime and ginger, this swizzle is the ultimate summer refresher. After your swizzle (or two), walk a few steps to EO Miami, located in the Coral House on the WPH grounds. Grab a bite to eat and another drink, and get ready to dance your little heart out. 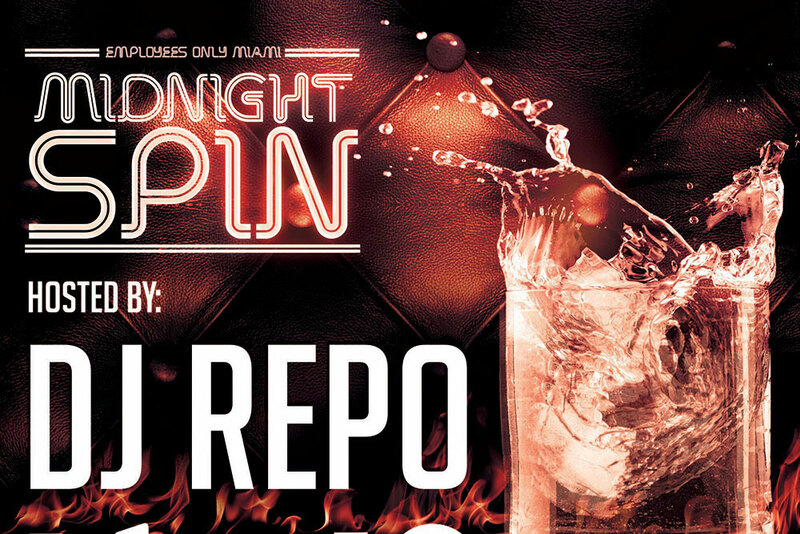 With DJ Repo spinning you have the best in new and old school hip-hop to keep you groovin’ all night. Once you’ve danced until you can’t dance anymore, saunter back to your delicious bed at WPH, or if you worked up an appetite, have a proper dinner at EO. They stay open until 5 a.m. every day. If you can make it until closing time, there’s Employees Only famous chicken noodle soup to help you recover for a full day spent lounging at the WPH pool.